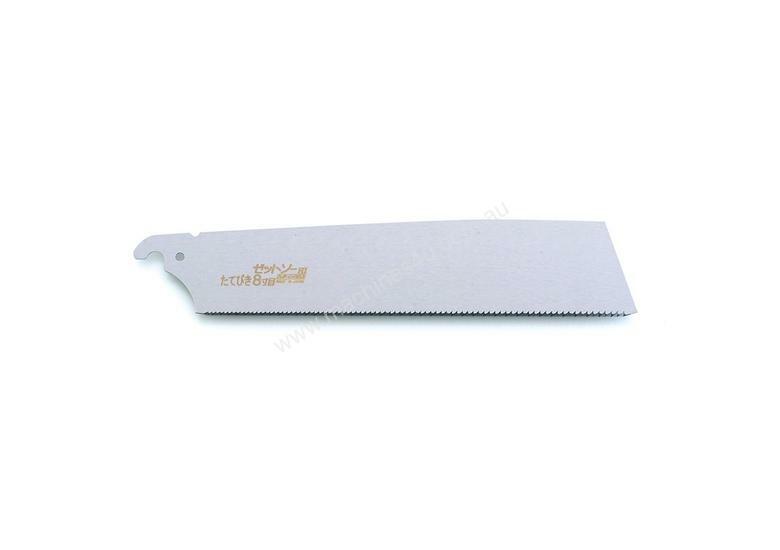 Replacement blade to suit Japanese Carpenter's Fine Rip Saw Z-15009. These saws are hardened through the Hard Impulse" treatment to increase the degree of hardness to the level of HV800-950 which is the maximum hardness that can be achieved on steel. Implementing this treatment on the tips of the saw teeth means that they are able to stay sharp much longer than conventional counterparts while the core of the blade remains both flexible and tough to prevent bending or buckling during use."